Former WQS surfer, WiLDCOAST employee and San Diego County standout Zach Plopper talked to me about his recent trip to Australia where he caught one of the best cyclone swells in recent history. Serge: You recently spent a couple of weeks surfing Down Under. 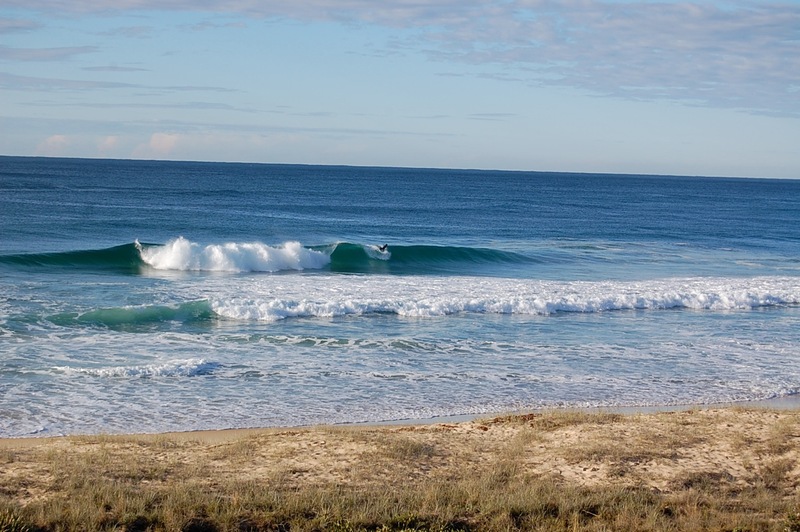 Out of all the surf destinations in the world, why did you choose Australia? Zach Plopper: I had an opportunity to visit friends with my girlfriend Holli in Sydney and Crescent Head, New South Wales. The water in New South Wales is in the upper 70s this time of year and it is one of the, if not the, most wave rich coastlines in the world. I celebrated Christmas four days after the longest day of the year. Kookaburras birds woke me up every morning. I was surrounded by hilarious Australians and surfed a perfect right point with surfing legend Robbie Page. That’s why I went to Australia. Serge: On your trip you managed to catch one of the best Christmas cyclone swells in recent history. What was that like and how did that swell differ from a major swell here in Southern California? Plopper: The intensity of the swell was incomparable to a big swell in California. The waves jumped from three feet to double overhead in a matter of hours and stayed that way for seven days. As the cyclone moved south the swell came at a slightly different angle each day producing more wrap around the point. It’s like an East Pacific hurricane moving north along the California coast for a week, but with a hundreds point breaks to choose from. Apparently Parko and the Coolie crew were towing in at Kirra and all of the Sydney beaches were closed out. 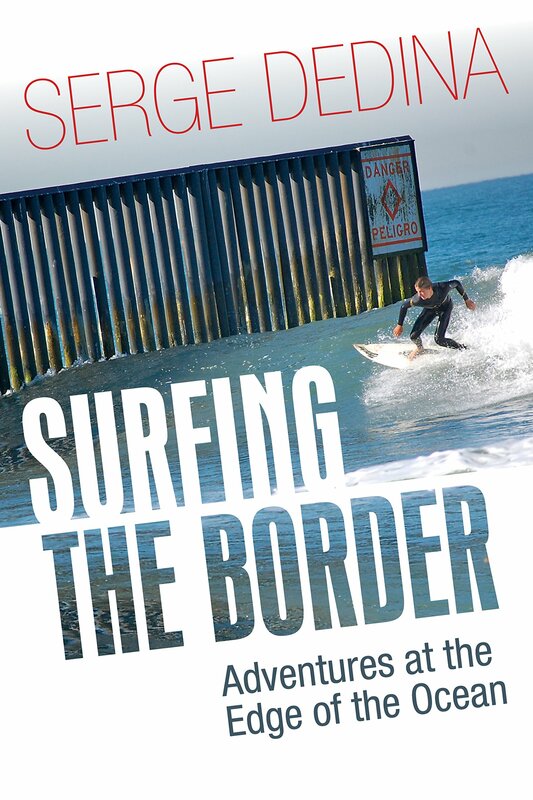 Serge: The assumption for lots of California surfers is that Australia is a very crowded surf destination. Was that your experience? Plopper: The prime spots are no more crowded than those in California. And overall the surfer density on the coast is much much lower than here because of the amount of “bush” between cities and towns. There are hundreds of miles of absolutely empty beach. On pumping Christmas Day I surfed an overhead, very popular point break with an average ten people. There were two people out for a period. Serge: Where did you surf on your recent trip. And where are some of your favorite surf destinations in Australia? Plopper: I got wet at Manly in Sydney before the swell filled in. 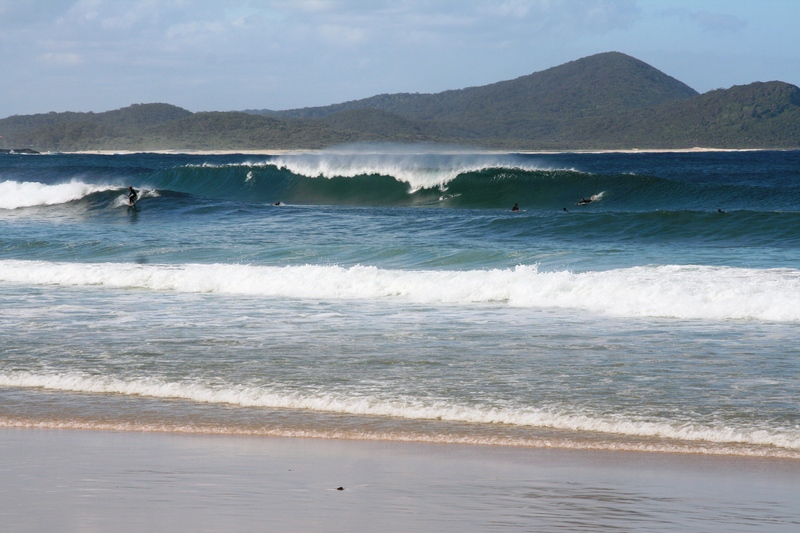 And then surfed Crescent Head for five days with a session at Scotts Head just to the north. I wrapped up the trip surfing the beach breaks and points around Booti Booti National Park. I have always been fascinated about surfing those spots after seeing them in a bunch of movies growing up. I’ve been to Australia twice but only to New South Wales and Southern Queensland. I’d love to explore more. I’d say Bluey’s Beach (named for a cow named Bluey that fell of the cliff) is my favorite zone thus far. Serge: What is it about the Australian people and surfers especially that makes the country such a welcoming place? Plopper: The surfers in Australia are the friendliest I have ever encountered. It obviously gets a little more congested and anonymous around the cities but beyond that surfers seem super open and excited to chat and share waves, if you are respectful of course. I made a friend at just about every spot I surfed. 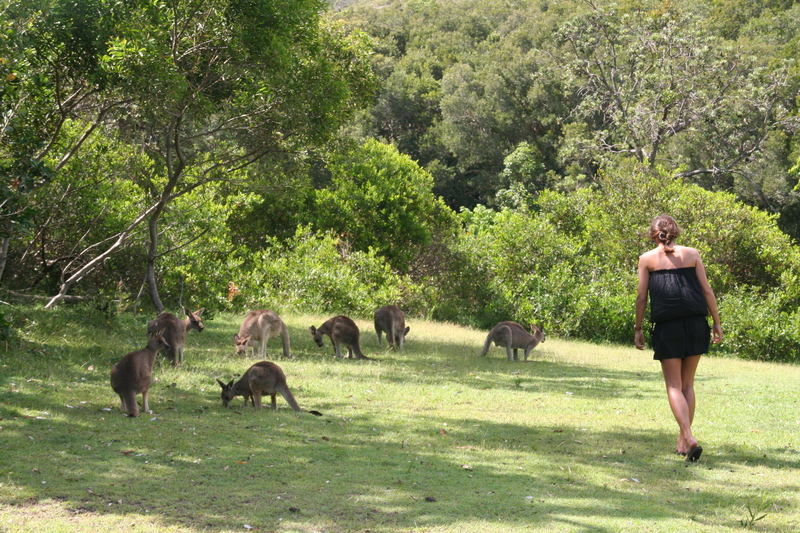 Australian’s in general are very friendly. Their culture has many British undertones but is also a lot like California (50 years ago). It is a very easy place to adjust to coming from Southern California. Serge: Are Australians surfers ahead of their counterparts in the U.S.? Plopper: I noticed a lot of very good surfers. I’d say the average surfer in Australia is better than the average surfer here. The fact that the sport is so much more mainstream in Australia, the quality of surf and the coastal centralized population probably have a lot to do with it. Something like five of the top 50 athletes in Australia are surfers, one of which is female. The sport is much more accepted there and a much bigger percentage of the population are surfers. Even the old ladies in the tourism offices know what the swell is doing and where you should go to “get a few kegs (barrels)” before looking for a place to stay. Serge: One of the things American surfers seem to love when they visit is the quality of the beachbreaks there. What makes them so unique or special? Plopper: The rainforest backdrops, crystal clear water and white sand has a lot to do with it. Add powerful, hollow peaks and a handful of people and you’ve got a sand bottom surfing dreamscape. Serge: Your girlfriend Holli came along on this trip. What makes Australia a good destination for a couple? Plopper: If you have people to stay with, your girlfriend doesn’t mind a camper van or you are rich, Australia is a great place to go as a couple. It is not a good place to go and expect nice, cheap accommodations. Australia is ridiculously expensive for an American right now. Nonetheless, there is a lot to do from Sydney nightlife, empty warm beautiful beaches, world-class wildlife, wine tasting, café hopping … you nor your significant other will ever get bored. Serge: In the past six months you’ve caught great waves in Spain, Baja and Australia. What location ranks best in terms of surf quality and quantity? Plopper: They each provided such unique experiences that it is tough to compare. For me it is not just the waves that makes up the experience. The three places couldn’t be more different. I surfed tropical beaches and points in first world Australia. I surfed river mouth lefts in old world Spain. And I surfed sand bottom point breaks in the desert of third-world Mexico. I got really lucky with swell at all three so I’d have to say quality and quantity were equally matched but in their respectively unique ways.